For some thoughts about my process and a couple of my sketchbook pages, check out this write-up about Incidental Comics on the illustration blog Ape on the Moon. It's getting harder to live without internet. Awesome comics! Original comics are getting hard to come by now-a-days! Love it! I just tried to stay away from the internet, and made it 24 hours! Felt good, but here I am! 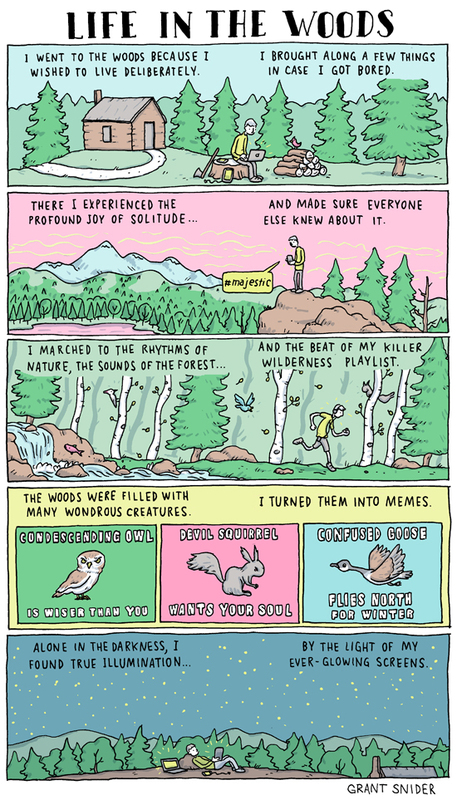 @John Porcellino: Funny you should read this comic - your Walden adaptation helped inspire it! In Australia, the goose do fly North for winter! Maybe he was just travelling. This is so me. :D Thank you for sharing. Brought a smile to my face. Nice work.